The Brothers in Pakistan promote our vocation in the schools in which we work and also in parishes. 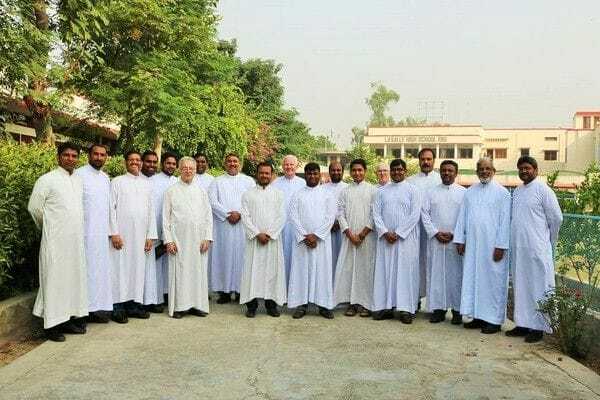 There is a great culture of vocations in Pakistan with 16 young men currently undergoing training to be a De La Salle Brother and the average age of a Brother just 34. The first stage of the formation once a young man decides that he wants to explore the possibility of a Brother's vocation is the Aspirancy. This takes place at Faisalabad, in Miguel House and is normally for a period of four years. During this time the young man continues his studies with the goal of obtaining a Bachelors Degree. After the Aspirancy comes the Postulancy. At the moment, the Postulancy takes place in Sri Lanka with young men from India and Sri Lanka also exploring the Brothers' vocation. The Postulancy is for one year. Following the Postulancy, the young man applies to enter the Novitiate which is also for one year.Currently this takes place in the Philippines; This is a regional Novitiate with Novices coming from the Asia-Pacific region.